Welcome to our community eNewsletter. Here you'll find information about upcoming activities, events, projects, initiatives and more! If you haven't already, visit our email notification page to sign up for future newsletters. Years in the making, we recently celebrated a momentous step in our efforts to expand housing availability for those earning low incomes in San Mateo. City officials joined our county and nonprofit partners March 29 to break ground on a new 68-unit, low-income housing development in Bay Meadows. Bridge Housing is developing the 1-acre site that will become home to those making low- and very-low incomes, as well as veterans and formerly homeless. The City contributed the land, as well as $2 million toward Bridge’s new apartment complex that is scheduled to be completed in fall of 2020. We’re continuing to make progress on another below-market-rate housing development in downtown too! Known as the Downtown Opportunity Sites, the City partnered with MidPen Housing to redevelop two surface parking lots into 164 homes and 705 parking spaces. Come share your thoughts on the proposal during a Planning Commission study session at 7 p.m. Tuesday, April 23 at City Hall, 330 W. 20th Ave. 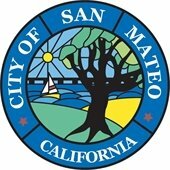 The City is thrilled to see the high level of interest many in our community have for ongoing efforts that will help shape the future of San Mateo. We’d like to take this opportunity to announce the expansion of the City’s General Plan 2040 Update process, and clarify the City’s involvement with the initiative to extend Measure P (also known as voter-approved height and density limits.) Learn more by reading our latest community news release. How are you celebrating Earth Day this year? What does being sustainable mean to you? Are you environmentally conscious? Do you have a knack for photography? Are you teaching your kids how to be stewards of their community? 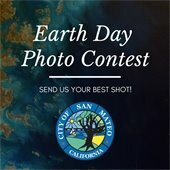 Show us how you support sustainability in San Mateo by joining our Earth Day Photo Contest! Send your best shot and photo caption to sustainability@cityofsanmateo.org by 5 p.m. April 30. Three winners will be chosen and receive a “zero waste” kit that includes reusable items you can take on the go! Whether it’s at home, work, school or just walking around town – we’d like to highlight our community’s passion for sustainability. Visit our sustainability web page for details on how to participate. Photos will be shared on the City’s website and social media pages. Stay tuned to our Facebook page to help pick the winners! Get ready for one of our most popular events of the year as Eggstravaganza returns to Central Park Saturday, April 20 from 9 a.m. to 1 p.m. This year’s eggs-citing event includes the popular egg hunt for kids ages 4 to 9, a special playground for children ages 1 to 3, a pancake breakfast and food trucks as well as live entertainment! Tickets are required for the egg hunt so be sure to sign up online today before they sell out! Don’t miss out on entering the parade too! 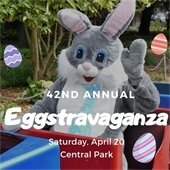 Now in its 42nd year, get ready for spring-time family fun at Central Park, 50 E. Fifth Ave., San Mateo. Let us Help You Celebrate Earth Day! Are you interested in learning more about how you can live more sustainably? Than check out one of our educational Earth Day events! We have three workshops planned at the San Mateo Main Library, 55 W. Third Ave.
You can learn about Going Zero Waste, or not sending things to landfills, on Saturday April 20 from 10 a.m. to 11:30 a.m. Interested in working with nature instead of against it while saving energy, minimizing waste and lowering your impact on the environment? Than check out our Permaculture Design seminar from noon to 1:30 p.m. on Saturday, April 20. Is your money contributing to climate change? Learn how to take control of your investment’s impact with the Divesting from Fossil Fuels workshop from 6:30 p.m. to 8 p.m. on Thursday, April 25. How is the issue of housing affecting you and those you care about? Join us for a different type of dialogue about housing in our community on Saturday, April 27 and May 18, 2019. 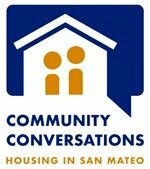 “Community Conversations: Housing in San Mateo” is a joint effort between the City and Home for All San Mateo County to engage our entire community, especially those who haven’t been part of housing conversations in the past. Our goal is to create an inclusive environment for community conversations and this effort starts with you! Tell a friend and RSVP today! Although these conversations aren’t part of a specific project or the General Plan update, our community’s perspectives will be extremely valuable as the City evaluates future housing-related policies. The goal is for community members to talk and listen to each other. The first conversation will help shape a second conversation on May 18. There will be free childcare, food and Spanish translation at both events! When: Saturday, April 27. Doors open at 9 a.m. for breakfast and childcare; the discussion runs 9:30 a.m. to 11:30 a.m.
Where: San Mateo High School, multi-purpose room, 506 N. Delaware St. Parking in main lot. We're Working on Our Sewers - What Do you Think? Our Public Works Department wants feedback on a potential revision to the City’s Sewer Lateral Ordinance. Property owners are invited to one of two community meetings: Thursday, April 25 from 6 p.m. to 8 p.m. at the Senior Center, 2645 Alameda de las Pulgas; or Saturday, April 27 from 10 a.m. to noon at Beresford Recreation Center, 2720 Alameda de las Pulgas. At both meetings, staff will present three options for a potential revision to the ordinance. Feedback from the community will inform staff’s proposal the City Council will consider during a study session May 20. Visit the City’s website for more information. The City is also working on the Clean Water Program and wants your input on a draft environmental impact report for the Underground Flow Equalization System, formerly called the In-System Storage Facility. The Planning Commission will host a study session 7 p.m. Tuesday, April 9 at City Hall, 330 W. 20th Avenue. 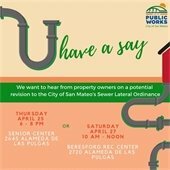 Come provide your input and learn about the system that will help prevent sewage overflows during heavy rains. Anyone can run a race, but want to make a difference while doing it? You can, when you join the third San Mateo Police Activities League and Stride for Awareness 5K Run/Walk for Student Mental Health and Wellness! Race begins 9 a.m. Saturday, May 11, 2019 at Coyote Point. You can help Stride for Awareness and PAL create a safe society while promoting the importance of physical, social and mental wellbeing of the youth in our community. 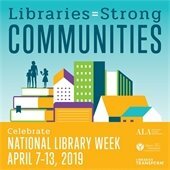 National Library Week is an annual celebration highlighting the valuable role libraries, librarians, and library workers play in transforming lives and strengthening our communities. This year’s theme, Libraries = Strong Communities, illustrates how today’s libraries are at the heart of our cities, towns, schools and campuses, providing critical resources, programs and expertise. To celebrate National Library Week April 7-13, 2019 we have some great events coming to the San Mateo Main Library, 55 W. Third Ave. On Monday, April 8 beginning at 7 p.m. we’ll have the Insect Discovery Lab where you can touch and hold live insects! Spend an evening getting crafty with our Adult Craft Night Friday, April 12 at 6 p.m. You can also join our “Bookface” photo challenge throughout the week for a chance to win a prize! Learn more about the array of services, programs and events San Mateo Public Library offers throughout the year. Please visit our email notification page to sign up for future newsletters. Copyright © 2018 City of San Mateo. All Rights Reserved.